THE BUFFALO and the Ox were cousins ​​and they were very fond of each other. The Buffalo had two rows of fine teeth, but the Ox had only one Rowe which was on his lower jaw. But the Buffalo was a kindly old thing, and when he had eaten his meal he would lend his upper teeth to the Ox. The Horse was a wonderful dancer, and he was also a wonderful clown. He could sing very well too He toured the countryside dancing and singing and clowning. Everywhere the animals flocked to see the horse putting up a fine show. One evening the Horse was giving a performance near the place where the Ox and the Buffalo were living. The Buffalo did not care for such frivolities, and for him to stay submerged in water up to the neck was better than any dancing or clowning. But the O was only a young animal, and he wanted to see the show. But as other animals went to such shows in all. their finery, the Ox wanted to go with both rows of teeth, so that when he laughed at the jokes of the clown, all the world would see that he had two rows of lovely teeth. So, after he had finished eating his evening meal, he did not return the upper teeth to his cousin, but slipped away to the place where the Horse was performing. The ox strutted up to the front and took his seat. On the stage the Horse danced, and the animals clapped their hands. The Horse now performed acrobatic tricks, and recited humorous verses, until the animals were prostrate with uncontrollable laughter. The Ox laughed with his mouth wide open, and the Horse saw the two rows of ivory teeth. The Horse also had no upper teeth, and felt very jealous that the stupid-looking ox should have them. So, he thought of a trick. The Horse finished his act and he sat down amidst applause, "Oh, Horse," said the animals, "you are wonderful." "My friends and patrons replied the Horse, T could entertain you more if someone would lend me his upper teeth, for then I could talk better and sing better." Up jumped the foolish ox and, taking out his upper teeth, handed them to the Horse. The Horse expressed his thanks to the ox, and after resting for some minutes continued his performance. He sang merry and the animal roared with laughter. Then he turned a back somersault, and the animals clapped their hoofs in joy. He turned another back somersault and he was off the stage. The animals clapped the more. Then the Horse gave another back somersault, and now he was quite a distance from the stage. As the animals cheered his acrobatic trick, he suddenly turned his back to the audience, and ran with all his might. The Ox, crying, "Stop thief, return me my upper teeth, 'chased the Horse, but as the Horse was such a fine runner very soon he was over the hills and far away. 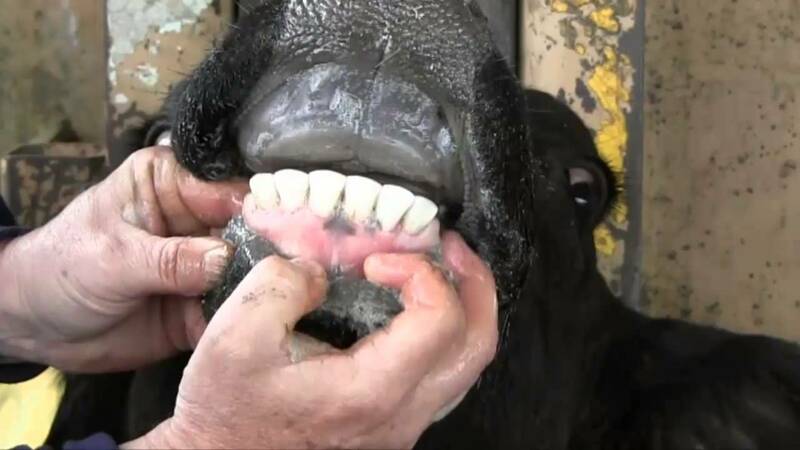 That is why at the present day the Buffalo has no upper teeth. Even now, the Buffalo wails, "It's mine, it's mine." The Ox, to support his cousin's claim, cries, "That's true, that's true." And the Horse laughs in reply 'Hee, hee, hee, 'for he still possesses e upper teeth gained from the ox at that performance of long ago.